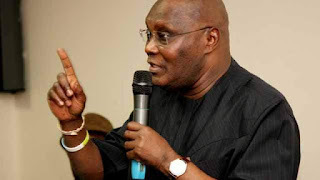 The Nigerian government Sunday said there was no ulterior motive behind the search a former vice president of the country and the presidential candidate of the opposition People’s Democratic Party Atiku Abubakar and his staff underwent on arrival at the Nnamdi Azikiwe Airport, Abuja, from Dubai. Abubakar alleged earlier on Sunday that the search by the “agents of the state” was meant to intimidate him. “I arrived to Abuja this morning to a search by agents of the state, aimed at intimidating me and my staff,” he tweeted. But the country’s minister of aviation Hadi Sirika said the claim was false and “mischievous”. “For the records, all incoming passengers on international flights go through customs, Immigration, health and security screening,” Sirika said. “These checks are mandatory, conventional, internationally applied and routine,” Sirika said. A former spokesman of the ruling All Progressives Congress Timi Frank said in a statement on Sunday that the purpose of the search was to implicate Abubakar. Frank alleged that the search squad planned to plant “bags of foreign currencies and other implicating things” in Abubakar’s aircraft on arrival in Abuja. He said the officials, who carried out the search, confessed that they were directed by the presidency to embarrass the former Vice President. Frank did not, however, say where, when and to whom the officials confessed.